Hey guys, I only have one picture of myself in these pants but I love them so much, I wanted to blog about them and share them with you guys. 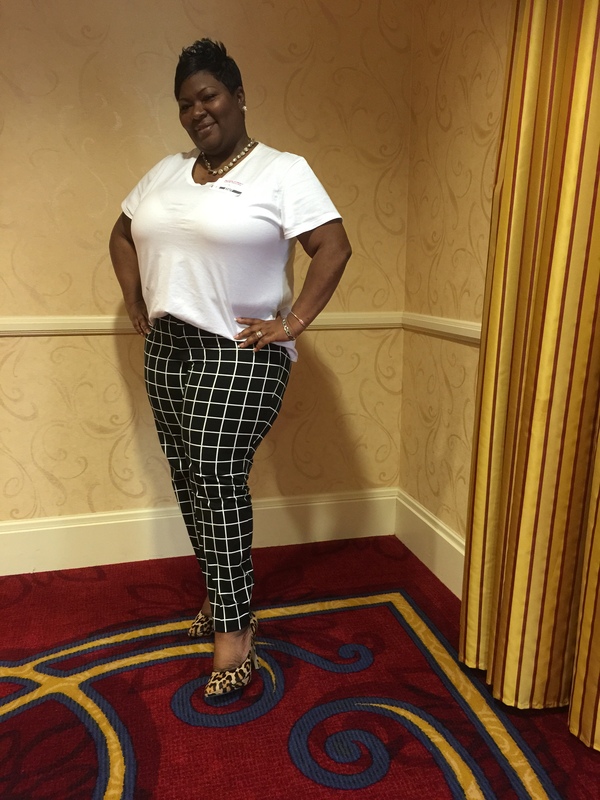 These are Old Navy’s ankle length pixie pants which you can find here. These pants are so comfortable, they are made out a stretch woven which helps to give them a great fit. I love that they are mid-rise so I didn’t spend my day worrying about flashing people. 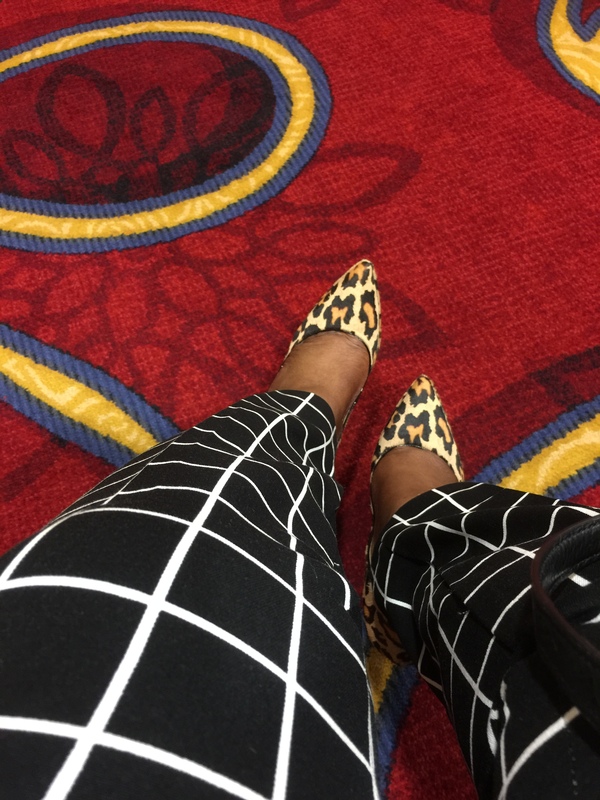 The pants are such a statement piece, I paired them with a simple white tee and a neutral leopard pump. Loved it! If you get a chance, be sure to check them out! I ordered two pair-one in the navy/white/red/blue tulips print, and one in solid navy, because they look so good on you!